It is difficult to know quite what to say after what has been the longest general election campaign in recent memory. Do I write about the severely disappointing result for Labour on the 7th May? 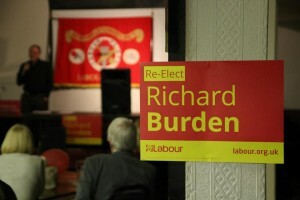 Do I write about the successes that Labour had across Birmingham – both in the General and local elections? Do I write about my constituents who are still struggling to make ends meet, unable to find well-paid work, waiting too long to see their GP or are still being hit by the bedroom tax? Do I write about losing friends and colleagues in the Parliamentary Labour Party, or gaining new voices – like the Longbridge Councillor and newly elected MP for Birmingham Yardley, Jess Phillips? Do I write about what direction I think we should go in now? There are already too many questions for this week. But there are only really three things that I need to say to people in Birmingham Northfield now. The first is thank you. Thank you to everyone who has continued to support me as Northfield’s local voice in Parliament. Thank you for putting your trust in me to represent this part of Birmingham. It is an enormous privilege to have been elected as the MP for Northfield for the sixth time since 1992. But I know that I could not have done it alone. So thank you to the army of volunteers who have put up posters and garden stakes, stuffed envelopes, knocked on doors come rain or shine, and spoke to thousands of voters over the past weeks and months. The second is that although we won in Northfield, we cannot duck the fact that we lost nationally or that the defeat was serious. We must reflect on that, listen to what people are telling us and act on it. That process has started with Labour’s leadership election, which will conclude in September. But equally important is the conversations we have in our communities now. It is great to see my inbox already filling up with local people’s views on the future of the Labour Party. Do you want to let me know your opinion? Please do get in touch. But while Labour is listening we are not giving up the fight in the meantime. Up and down the country people are looking to Labour MPs like me to be an effective Opposition and to challenge this Government. 29,000 people have joined the Labour Party in the United Kingdom in the past week alone. I have seen with my own eyes how this General Election has galvanised people into standing up for their communities and campaigning for change. By joining Labour you can be a part of the fight for a fairer and a better country. So please, don’t just get angry about the damage the Conservatives are going to try to do in the next five years. Get involved to hold them to account and to show there is a better way.